Rules: Use the Rafflecopter to enter. Giveaway ends 1/7/19 and is open worldwide. Rules: Use the Rafflecopter to enter. Giveaway ends 12/31/18 and is open worldwide. Rules: Use the Rafflecopter to enter. Giveaway ends 12/24/18 and is open worldwide. Rules: Use the Rafflecopter to enter. Giveaway ends 12/17/18 and is open worldwide. Are you looking for a great gift idea for the teacher in your child’s life that won’t break the bank? 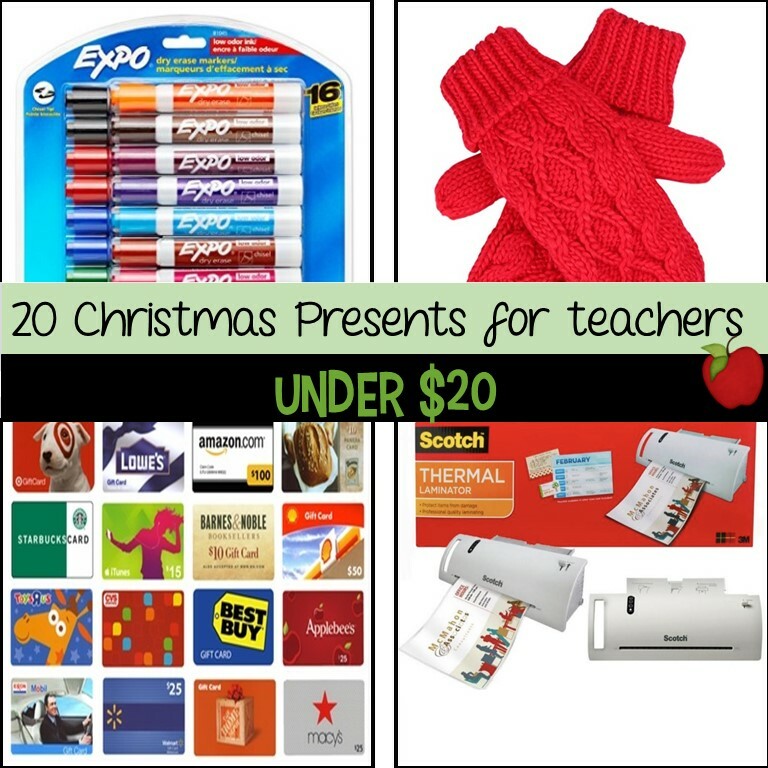 I have compiled a list of teacher’s gifts under $20 that he or she will be sure to love! After a long Christmas Vacation Break, teachers often have to review the rules and expectations with their students. This classroom rules poster will be a great way to do just that! Trust me when I say that teachers LOVE their flair pens! They are perfect for lesson planning, grading papers, student work and more! Teachers love inspirational quotes, and this one written on a key chain is sure to please! Teachers love to be organized! This set of labeled binder clips will keep all of their mounds of paperwork tamed! What teacher doesn’t like apples or post-its? When you put the two together you have a winning teacher present idea! Teachers laminate things in the classroom to help them last through all of the use that takes place in a busy classroom. These often go on sale for around $10, so be sure to check back often to get a great deal – your teacher will LOVE them! ExpoMarkers are a hot commodity in any classroom, and you can never have too many! Teachers use them not only to write on the boards themselves, but also for students as well. Grab your favorite teacher a pack of these, and it will surely be one of their favorite gifts! Speaking of markers, teachers also love Mr. Sketch markers! They are perfect for creating anchor charts to help remind students of concepts they have learned in class. I can’t tell you how many times my lunch plans have gone awry when I forgot to bring a fork or a spoon from home. This portable silverware set will save the day! 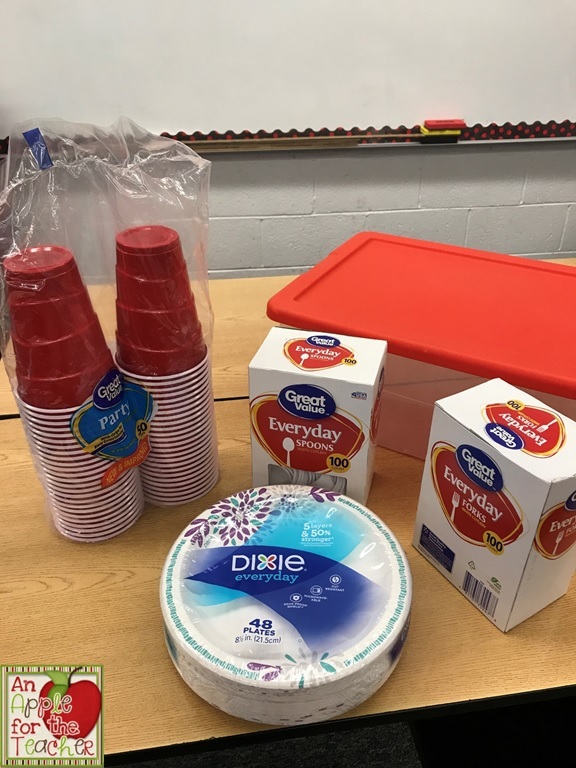 You could also create a mini-lunch kit by filling a plastic container with plastic plates, forks, spoons, cups, and napkins! Teachers can never have enough classroom books! Whether for read aloud to the whole class or student enjoyment, books are a must in any classroom. You can pick up several great deals on books for the classroom at Amazon. Click on the age range in your child’s classroom for some great book suggestions! Many teachers spend a lot of time outside on the playground during the school day, so warm winter wear like these cable knit mittens will surely be appreciated! You can’t go wrong when you give a gift card, because your favorite teacher can pick exactly what they would like. 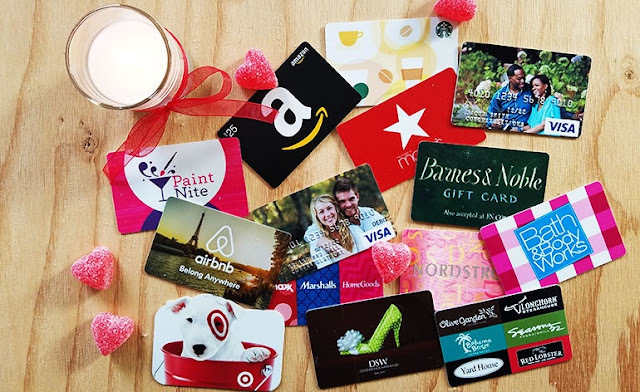 Here are a few places that teachers LOVE to shop at! Candles are a great go to gift idea for just about anyone, but teachers could especially use the gift of relaxation! My students love Thinking Putty for focusing and staying on task, but it is also pretty addictive for grown-ups as well! These erasable pens write like a gel pen but erase like a pencil! They are perfect for teachers to write lesson plans, grade papers, and more! These Emoji white board erasers are sure to bring a bit of fun into the classroom. They are magnetic so the the teacher can stick them to the board and not lose it. Teachers need to stay hydrated during the day, and this fruit infuser water bottle will help them do that while making the water extra tasty! Teachers are angels and your teacher will remember you every year as she adds this beautiful ornament to her Christmas tree! These fun teaching inspired socks will be perfect for crazy sock day or just for a teacher to share her love of teaching! I love using Mad Libs in my classroom to help teach grammar in a fun and engaging way. This teacher edition will be fun for both students and teachers! 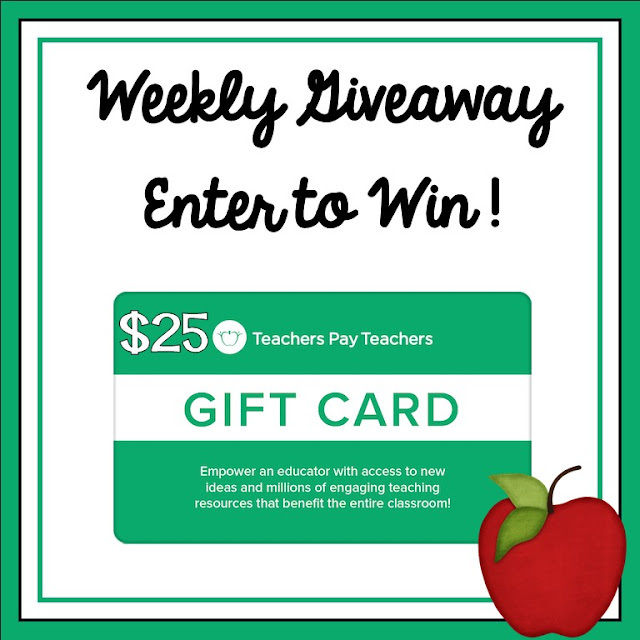 Check out this blog post for even more teachergift ideas. I also have a Pinterest Board dedicated to teacher gifts right here. While you are there, be sure to follow me so you don’t miss out on any of the teaching ideas and resources I share. 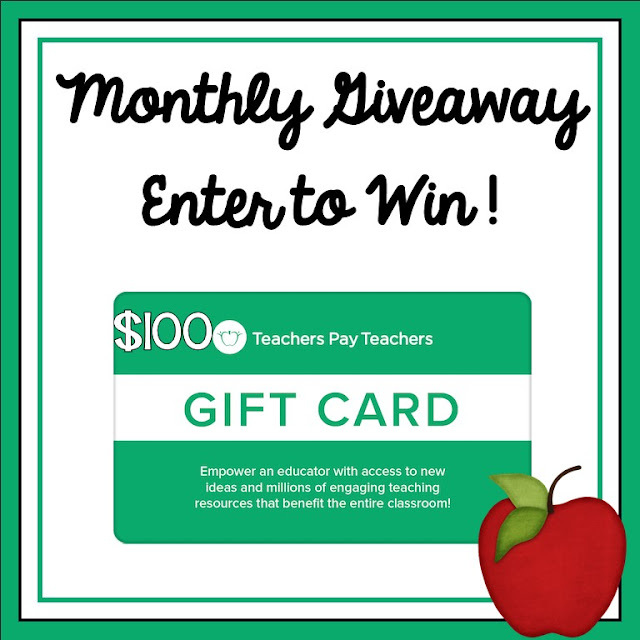 And, if you are a teacher or you know a teacher check out our most current giveaways here for a chance to win a Teachers pay Teachers gift card! What unique or affordable gifts have you given your children’s teachers or have you had given to you? Leave a comment below or join in on our Facebook discussion here. Co-hosts: An Apple for the Teacher, 180 Days of Reading, Mrs Wenning's Classroom, Chocolate 4 Teachers, Kamp Kindergarten, TheBeezyTeacher, A Plus Kids, Coast 2 Coast Teacher, KB3Teach, The Chocolate Teacher, It's Kinder Time, and It's a Teacher Thing. Rules: Use the Rafflecopter to enter. Giveaway ends 12/13/18 and is open worldwide. Rules: Use the Rafflecopter to enter. Giveaway ends 11/26/18 and is open worldwide.